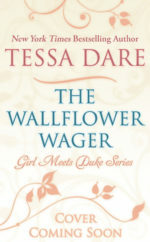 The Wallflower Wager (Book 3 in the Girl Meets Duke series) comes out August 13, 2019 – and it’s available for preorder pretty much everywhere! Behold, the cover. Aren’t Gabe and Penny lovely? I adore his slight, wicked smile. 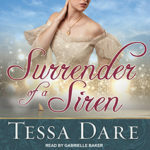 In other news, thanks to Tantor Media, three of my books are now available in audio for the first time: Surrender of a Siren, A Lady of Persuasion (releases April 19), and “His Bride for the Taking” in my duet with Christi Caldwell, Rogues Rush In. Hurrah! A holiday anthology featuring all-new linked novellas by yours truly, Sarah MacLean, Sophie Jordan and Joanna Shupe, available now! Is it available in print? Yes! We’ve put together a special hardcover edition. You can even order a copy with a bookplate signed by all four authors—which I daresay could make an excellent holiday gift. Unsigned print copies are also available from Amazon and other online retailers. Louisa Ward needs a Christmas miracle. Unless she catches a wealthy husband at the ball tonight, the horrid, heartless Duke of Thorndale will evict her family from their beloved Mayfair home. 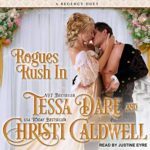 But when her friend begs to switch dance cards, Louisa finds herself waltzing with the enemy: the horrid, heartless–and unexpectedly handsome–Thorndale himself. 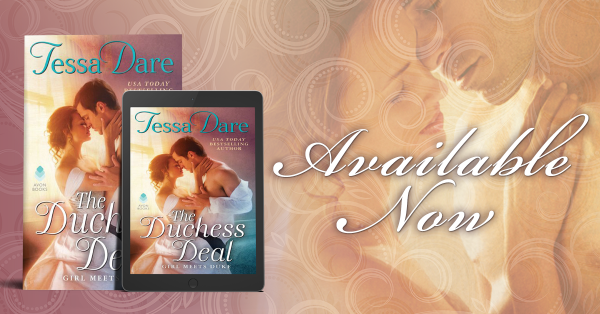 Now the duke’s holding her future in his hands…and he’s not letting go. Unwrap a Duke (or four) this Christmas! Announcing HOW THE DUKES STOLE CHRISTMAS, a holiday anthology featuring all-new linked novellas by yours truly, Sarah MacLean, Sophie Jordan and Joanna Shupe! What about print copies, you ask? We’ve put together a special hardcover edition! You can even order a copy with a bookplate signed by all four authors—which I daresay could make an excellent holiday gift. 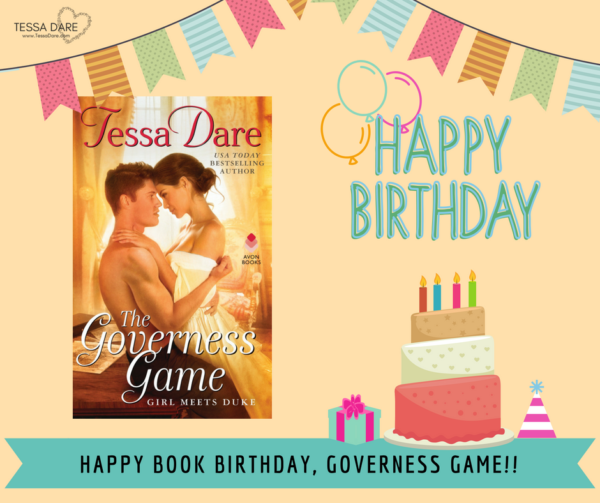 The Governess Game is out and available now! Library Journal called Alexandra and Chase’s story “Pure reading joy.” My book-birthday wish is that it brings you joy, too. 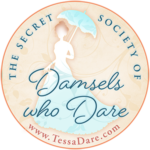 The Secret Society of Damsels Who Dare is always accepting new members on Facebook! 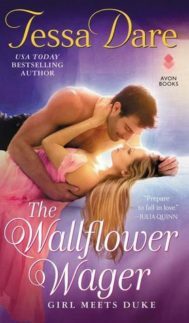 Come join us for special giveaways and sneak peeks and such. 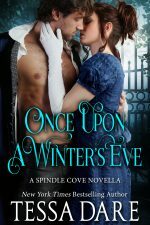 A Secret Society and an all-new excerpt! 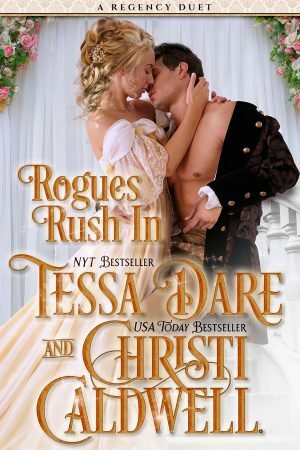 The Secret Society of Damsels Who Dare is my new Facebook group. 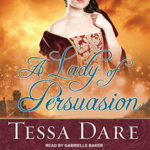 All my readers are welcome to join this group, where daring is the default, and “damsel” is a gender-neutral term.  There will be news and discussion and giveaways and … other special things I am still plotting, with the help of the group’s cunning mastermind—my assistant, Kelly. The Governess Game, book two in the “Girl Meets Duke” series, now has a book description and a release date! (August 28, 2018) The cover will be coming soon. It’s gorgeous, and I can’t wait to share it! I know, August is far away. I wish I wrote faster, I really do. But the book is available for preorder on Amazon, and probably will be on other retailers soon, so if you preorder it now, you won’t have to remember in August. 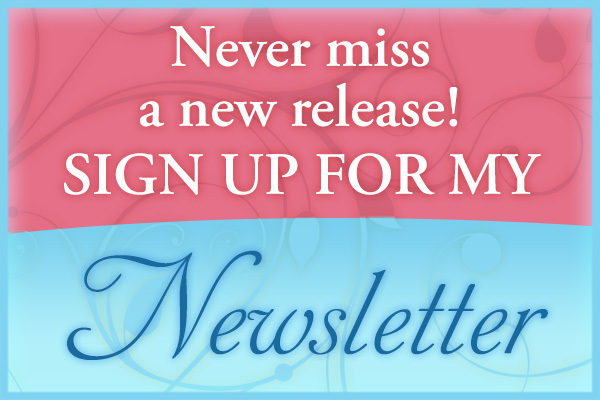 😉 Or sign up for my newsletter, and you’ll always get an email when I have a new book out—along with announcements of any special contests or sale prices. 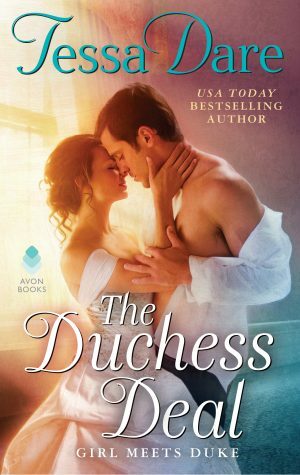 I want to thank all my readers for the amazing love you gave The Duchess Deal. I’m proud to share that the book was honored on several “Best of 2017” lists, including Amazon, Entertainment Weekly, Library Journal, and Vulture. It was also a New York Times and USA Today bestseller. I’m so grateful for all the lovely support for Emma and Ash’s story. Whether you bought it, borrowed it from a library, listened to it, recommended it to a friend, or reviewed it on your favorite site…thank you from the bottom of my heart. Wishing you a New Year filled with peace, joy, and romantic reads.